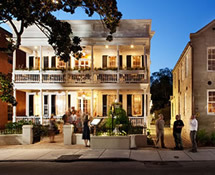 McCrady’s Restaurant, located in historic Downtown Charleston, features exceptional hospitality with a progressive and elevated tasting menu in an intimate 22-seat dining room. The stimulating room showcases an open kitchen that offers a glimpse into the creative world of our talented culinarians, all while being surrounded by our graceful service staff and fellow diners. McCrady’s holds the high honor of a AAA Five-Diamond Award, the only South Carolina restaurant with this esteemed distinction, and one of only 68 in America, while also being one of Wine Enthusiast’s 100 Best Wine Restaurants in America. 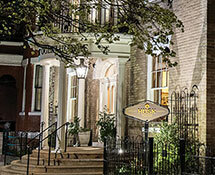 One of America’s most historic Restaurants, McCrady’s Tavern has welcomed guests since 1778. 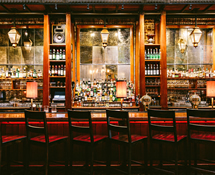 McCrady’s Tavern offers American cuisine with an ever-evolving seasonal menu, an award-winning wine and beverage program, and genuine hospitality. Built by Edward McCrady in 1788, this magnificent space has attracted city leaders and socialites since its earliest days. McCrady's is renowned for the prestigious grand dinner party thrown for President George Washington during his southern tour in 1791, and it is recognized on the National Register of Historic Places and Landmarks. 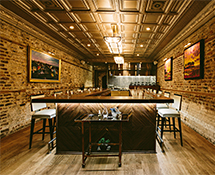 Centrally located in historic downtown Charleston, Husk, from The Neighborhood Dining Group transforms the essence of Southern food. 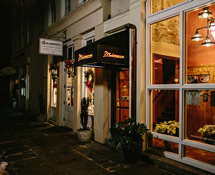 Executive Chef Travis Grimes, a Lowcountry native, reinterprets the bounty of the surrounding area, exploring an ingredient driven cuisine that begins in the rediscovery of heirloom products and redefines what it means to cook and eat in Charleston. 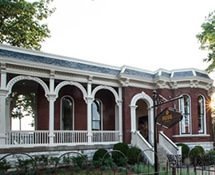 Located in Rutledge Hill – just a few blocks south of Historic Broadway, in the heart of Downtown Nashville—Husk transforms the essence of Southern food. Executive Chef Katie Coss reinterprets the bounty of Tennessee and the surrounding area, exploring an ingredient-driven cuisine that begins in the rediscovery of heirloom products and redefines what it means to cook and eat in the South. 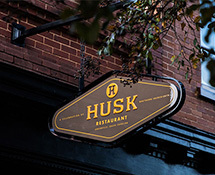 Centrally located in downtown Greenville, Husk, from The Neighborhood Dining Group transforms the essence of Southern food and highlights the unique ingredients of upstate South Carolina. Executive Chef Jon Buck reinterprets the bounty of the surrounding Upcountry area, exploring an ingredient-driven cuisine that begins in the rediscovery of Heirloom products, agricultural practices, historical recipes and exploring the possibilities of Southern Foodways. Minero is a casual Mexican eatery from The Neighborhood Dining Group, located on East Bay Street in historic downtown Charleston, SC. Making its own tortillas in house daily, slow cooked wood fired meats, and homemade salsas represent true Mexico City street food in a casual, fun and lively atmosphere. Handcrafted Margaritas round off the flavors and culture of Mexico. 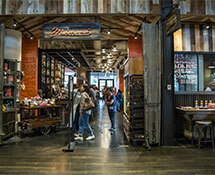 Minero is a casual Mexican eatery from The Neighborhood Dining Group located in the vibrant Ponce City Market in Atlanta, GA. Making its own tortillas in house daily, slow cooked wood fired meats, and homemade salsas represent true Mexico City street food in a casual, fun and lively atmosphere. Handcrafted Margaritas round off the flavors and culture of Mexico.